This post is not on Sicily. The European Commision is carrying out a campaign, “Stop Food Waste”, which has the purpose of bringing awareness to the topic of food waste. 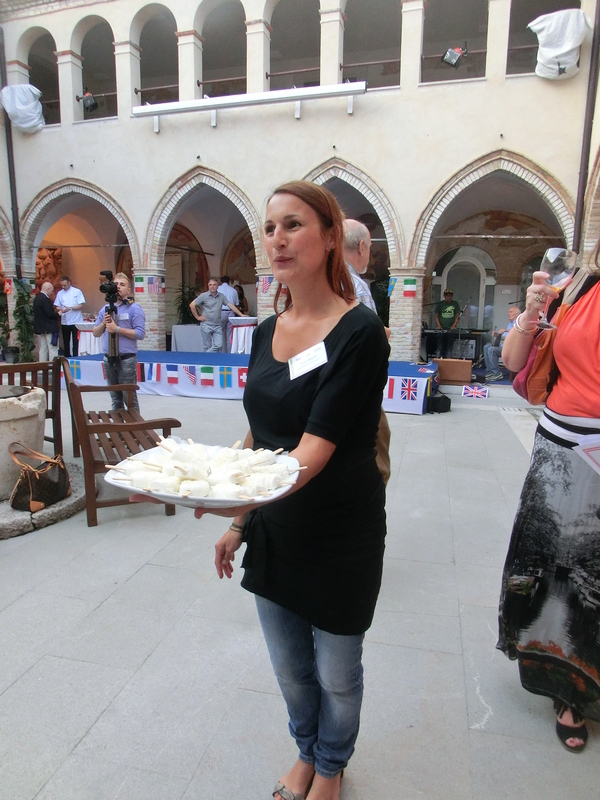 In Europe, 180 Kg of food is wasted per person per year. 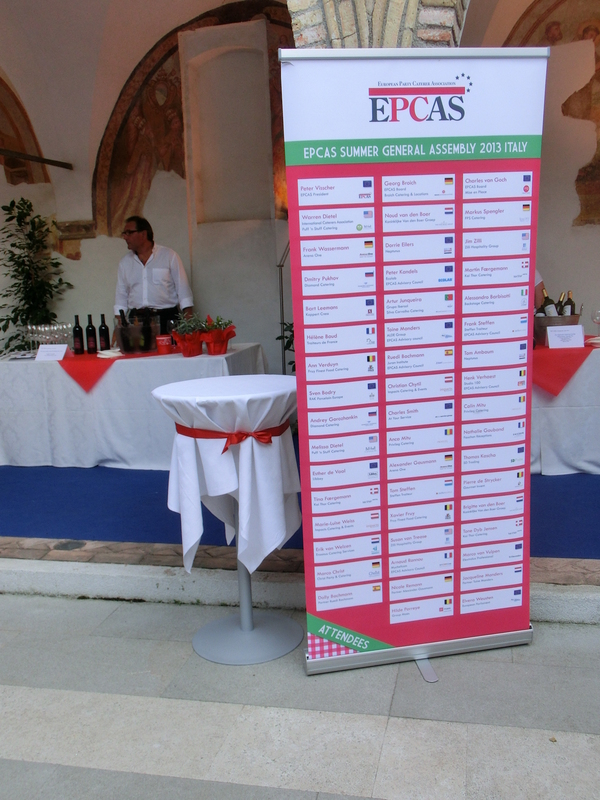 This year, EPCAS, European Party Caterer Association, held their Summer meeting, in Pordenone, Italy and the topic was “Stop Food Waste” . 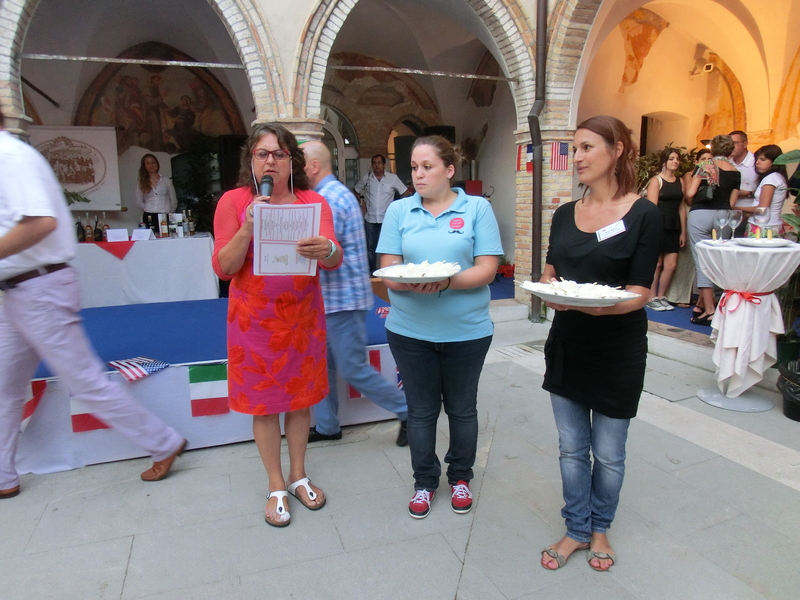 Some old friends of mine, the Martin’s, who run Prosciuterria Martin in Pordenone, organized a food and wine tasting event for the EPCAS Summer Meeting participants and asked me to join them and lend a hand. 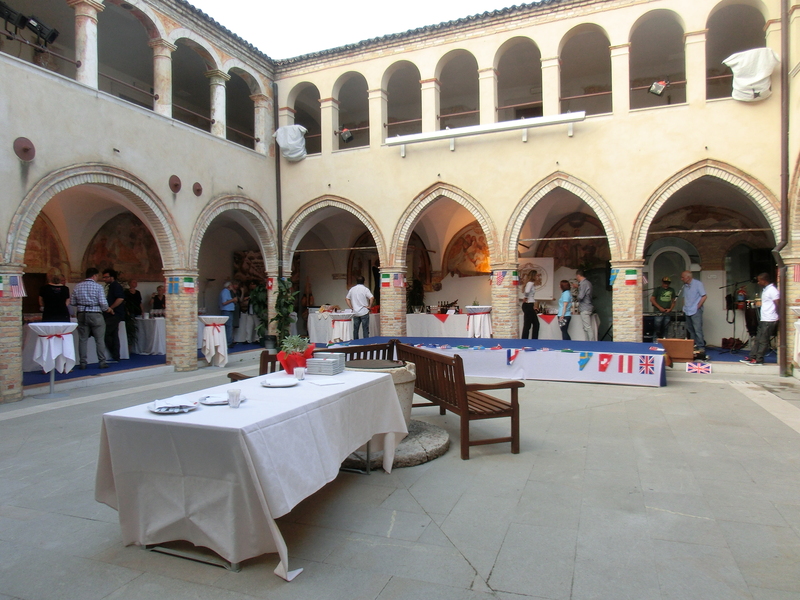 The food and wine tasting took place in the cloister of an old convent dating back to the XIII century, in Pordenone. 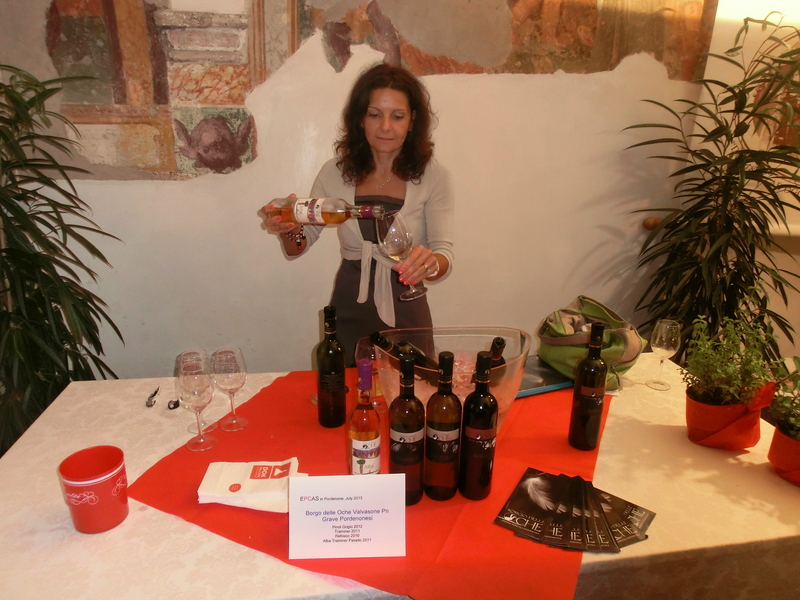 Local wine and food producers participated sharing their products and original recipes. 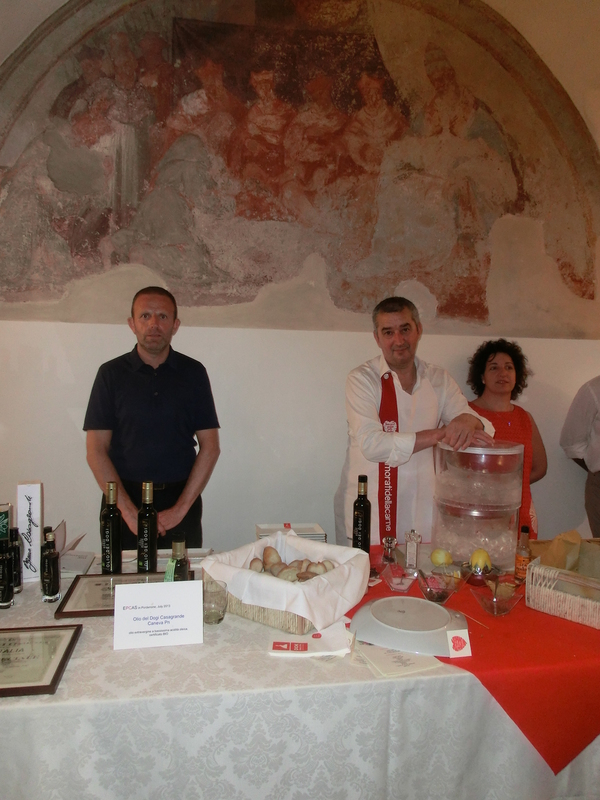 This was an opportunity to share Italian culinary products, presented by the producers themselves, to the EPCAS group, owners of sixty companies coming from all over the world. 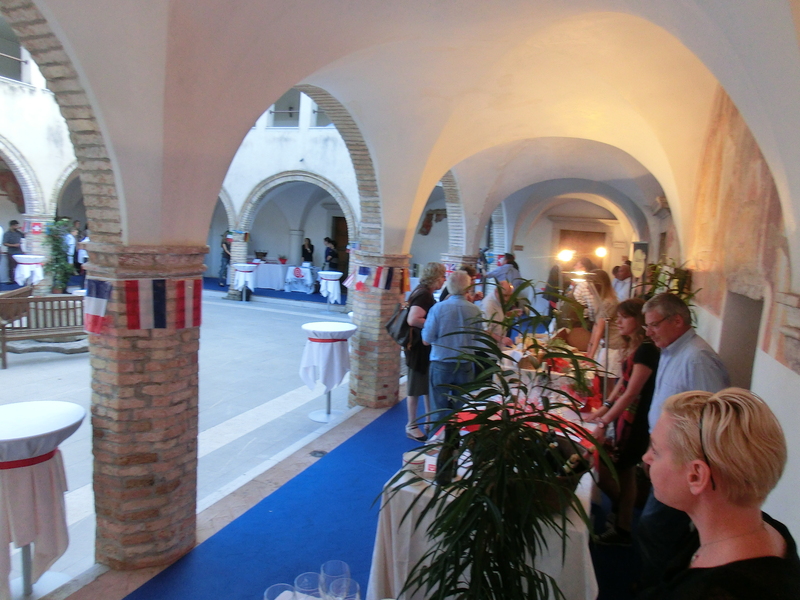 The evening was quite enjoyable as people mingled and tasted a variety of foods and wines accompanied by music. Not even a sudden downpour could stop everyone from having a wonderful time. 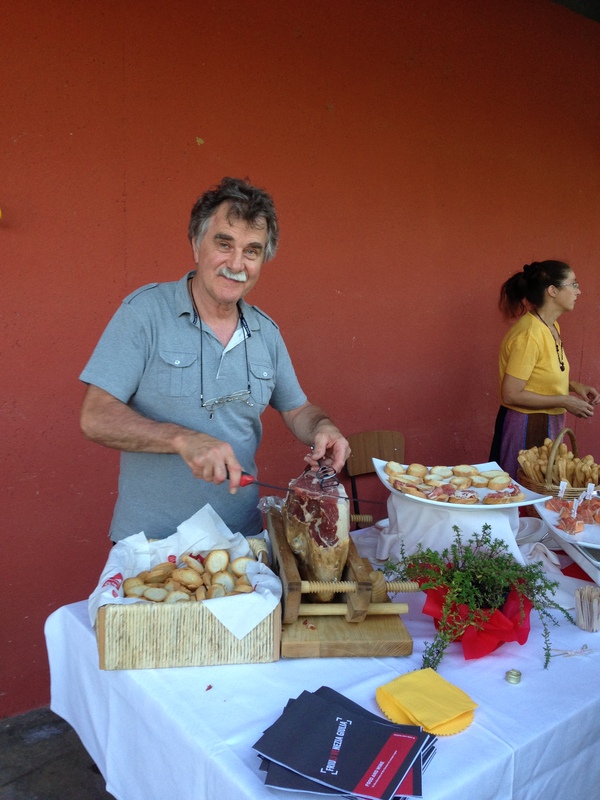 Stuzzichini gastronomici freddi: Nuvoletta di Verduzzo, aperitivo al gelato di latte caprino e nuvoletta di Verduzzo. 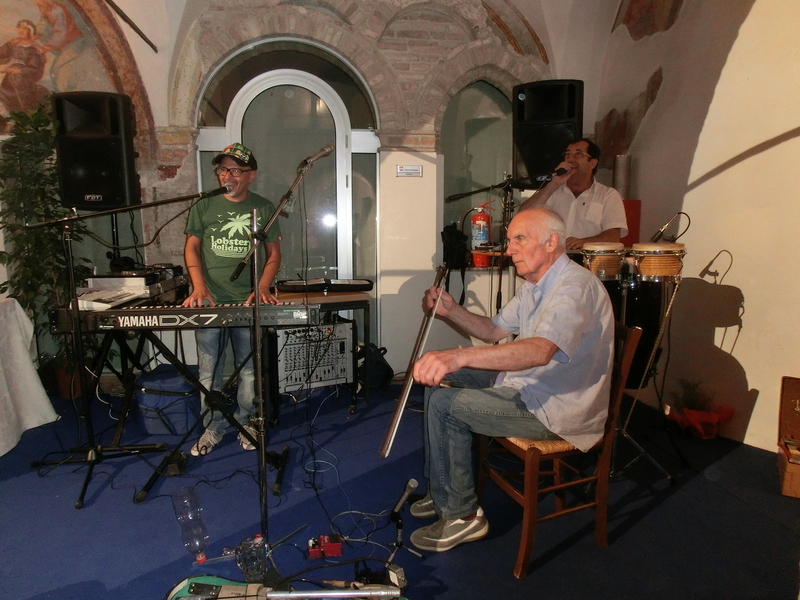 Ricoperto al Montasio, tramezzino al mantecato di Pitina e scaglie di Montasio. Agana: gelato di mandorle siciliane con inserto di albicocche all’Asti e amaretti.